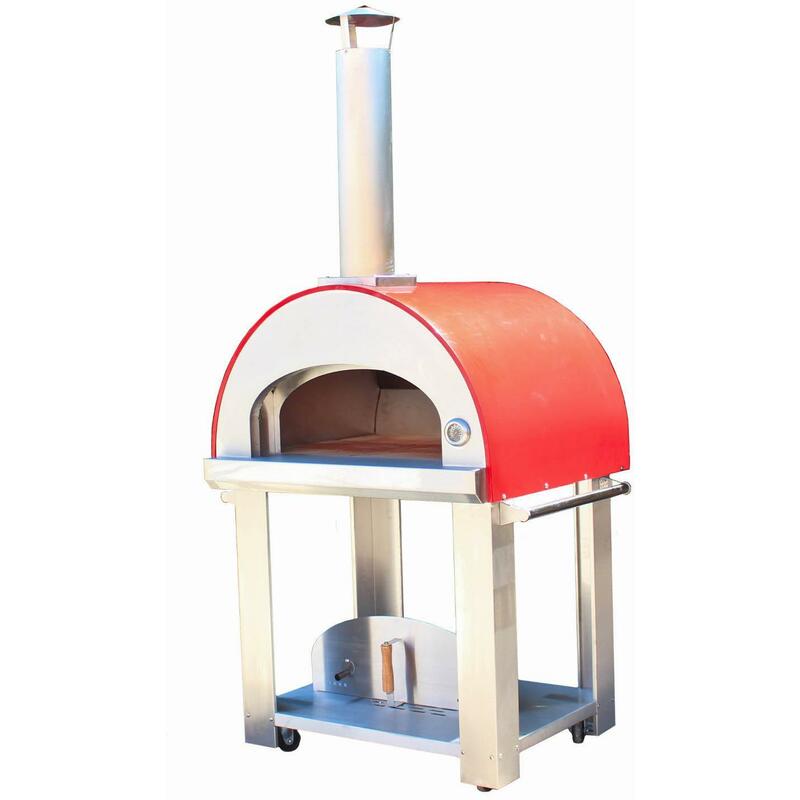 Product Description: Bella Grande C32 32-Inch Wood Fired Outdoor Pizza Oven On Cart. 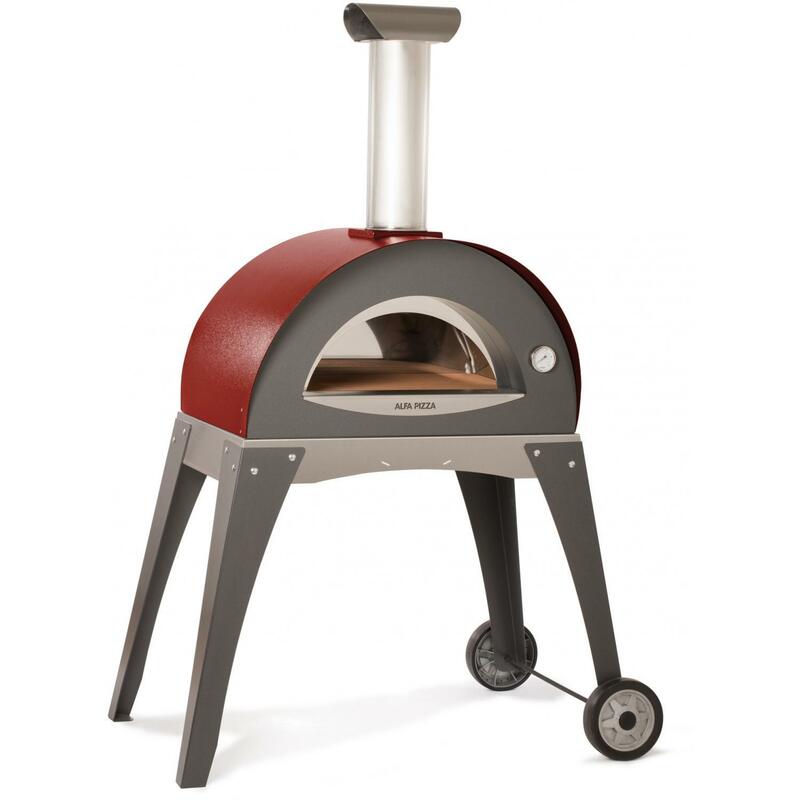 The Bella Grande C32 outdoor oven is a larger pizza oven cart featuring ultra-premium construction and materials. With all 304 stainless steel construction, you will be ready to do some serious cooking and entertaining. 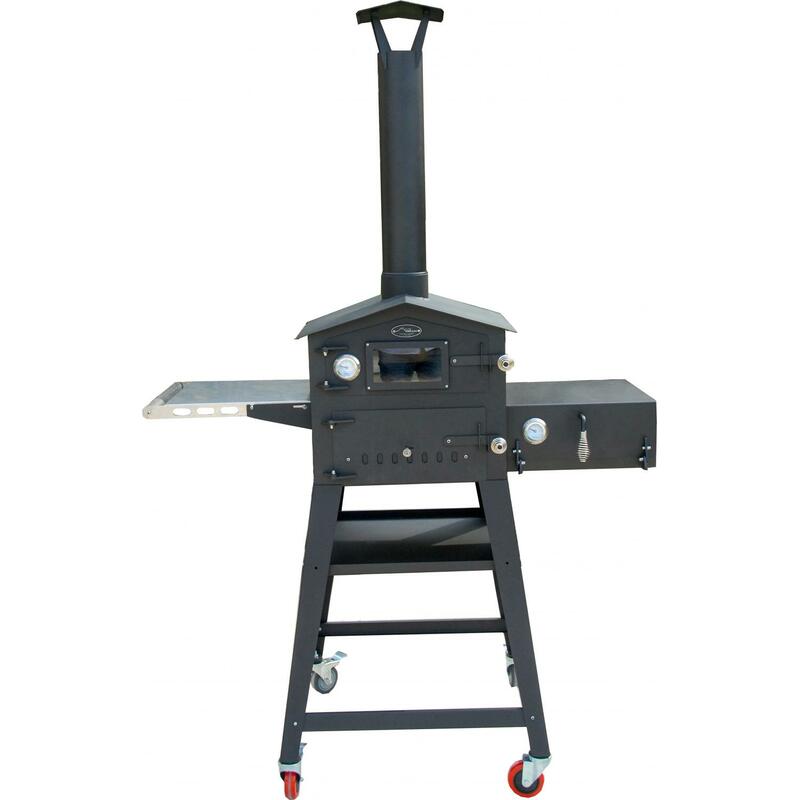 Its 32 inch x 24 inch cooking floor can handle four pizzas at a time, roast a small turkey, hold 6-8 roasting pans, or bake 16 loaves of bread. 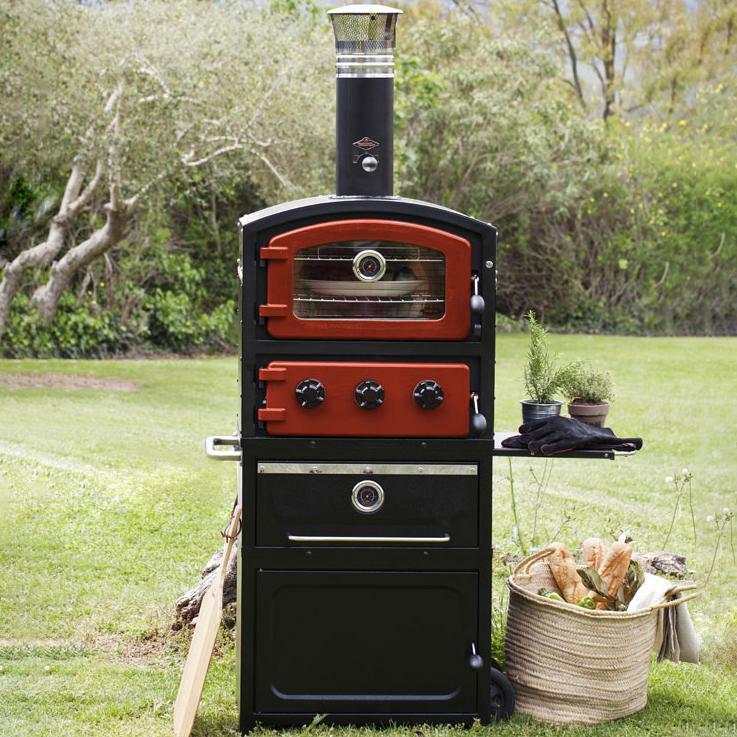 Even with its large cooking capacity, the Grande C32 still heats up in about 15 minutes and is efficient with wood fuel. 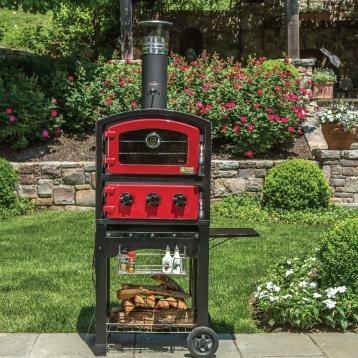 The high output - as many as 60 pizzas in one hour - is enough for even larger parties. 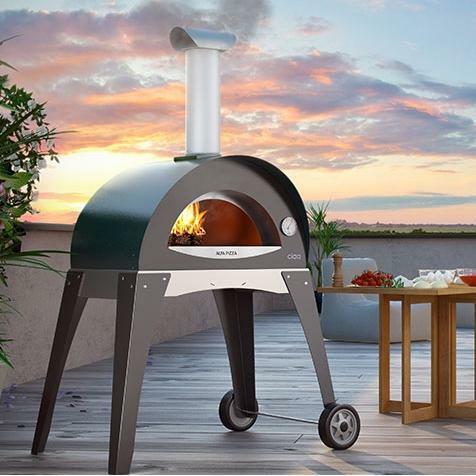 The Grande C32 features all 304 stainless steel, solid weld construction for the oven dome, landing, door and chimney - plus the pizza oven cart, promising years of worry-free, rust-free operation. The Grande C32 cooking floor uses authentic firebrick baking stones with a higher cordierite content usually reserved for commercial oven applications to protect the floor from thermal shock. 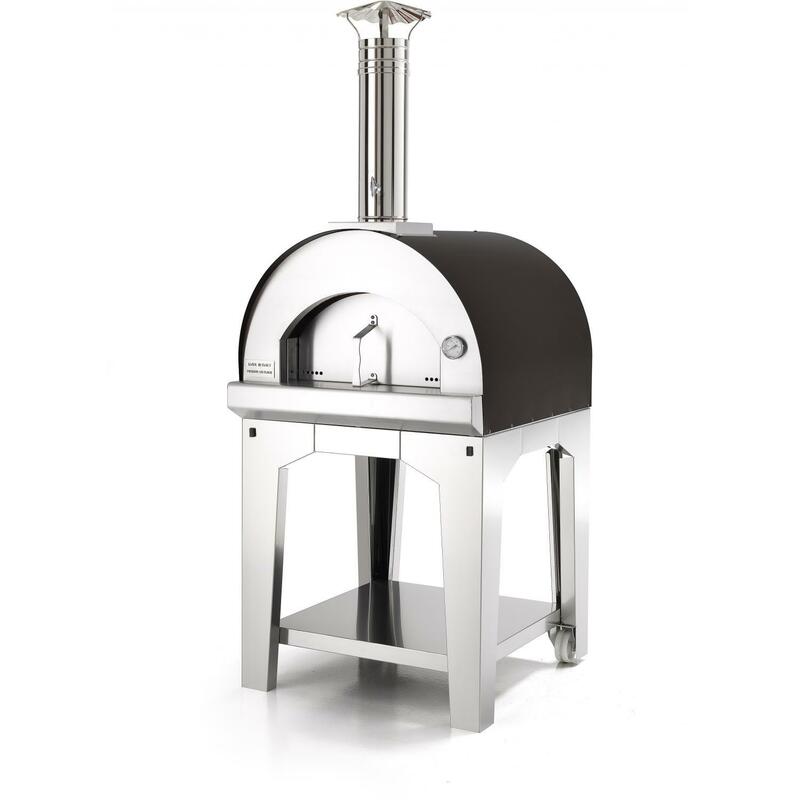 The vent design on the Grande C32 is outside the cooking chamber so the oven retains heat longer and the food has a more pronounced wood fired flavor. The Grande C32 cart features two handles and four wheels, two with locking casters, making it easy to move and position the oven. 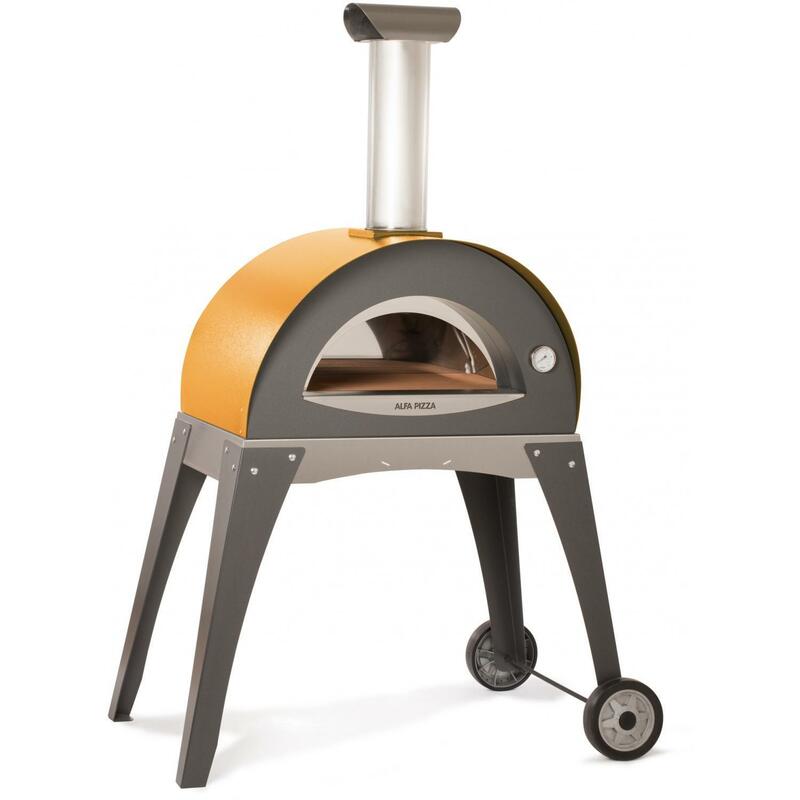 Side hooks provide easy access storage for the 36-inch stainless steel pizza peel. 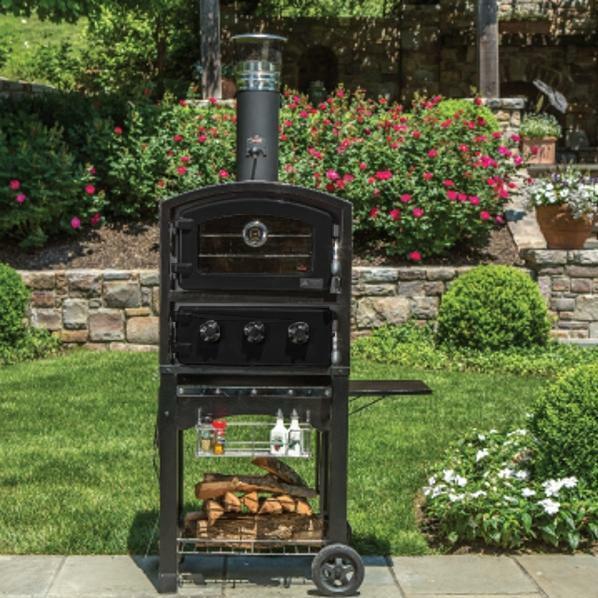 The Grande C32 is a great choice for entertaining family, friends and neighbors. 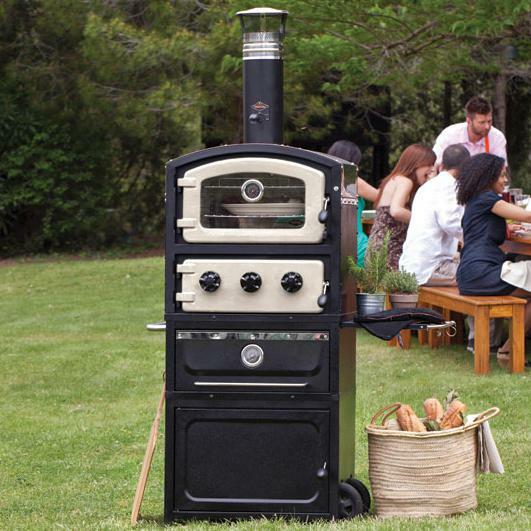 Every Bella Outdoor Oven comes complete with a stainless steel pizza peel and a pizza server so you can start the party!